Scathing Audit Exposes “Pervasive Deficiencies” in Chicago Violence Prevention Program House, Senate GOP urging NRI investigation; freezing of expenditures. Illinois House and Senate Republicans are urging the Illinois Auditor General to refer findings from the Feb. 2014 audit of the Illinois Violence Prevention Authority's Neighborhood Recovery Initiative (NRI) to the Executive Inspector General (EIG) for further review and potentially the U.S. Attorney for further investigation of potential criminal activity. The lawmakers further called for freezing of any unexpended dollars – which could be as much as $31 million. “When critical care services remain on the chopping block and transportation funding for rural schools have been cut, the Governor was able to increase limited state resources for the Neighborhood Recovery Initiative from $20 million to $50 million in less than two months,” said State Rep. Dwight Kay (R-Glen Carbon). For more on this story, please click here. A report on the results of a four-month CNN investigation into the Neighborhood Recovery Initiative is available here. · Illinois House adopts revenue estimate for FY15. The unanimously-approved HR 842 estimates that the State will, starting on July 1, 2014, take in $34.5 billion in taxes, fees, and other payments available for purposes of general revenue. This revenue estimate is expected to serve as a starting point in the House’s negotiations with the Senate, the Governor, and State agencies as they develop appropriations bills for the approaching fiscal year. The fiscal year covers 12 months and will conclude on June 30, 2015. The budget resolution was adopted on Tuesday, Feb. 25. Its bipartisan approval came after testimony was presented to the House Revenue and State Government Joint Committee on the current economic status of Illinois and changes in key economic indicators that may affect the immediate and medium-term fiscal outlook of the State. Fiscal experts that offered testimony included leaders of the General Assembly’s Commission on Government Forecasting and Accountability (CGFA), the Illinois Department of Revenue (IDOR), and the Governor’s Office of Management and Budget (GOMB). The estimates include partial implementation of the Illinois income tax “rollback” that is scheduled to begin on January 1, 2015. The current 5.00 percent Illinois individual income tax rate is a temporary rate that is scheduled to be rolled back to 3.75 percent in calendar year 2015, and fiscal estimates for FY15 must take account of this statutory rollback. Refinements to this budget picture are possible during the final three months of the 2014 spring session. Appropriations bills will be required to stick to the expected revenues estimated during this time period. State of Illinois deficits posted in prior years have built up a multi-billion-dollar backlog of unpaid bills and have added to the ongoing debts of the State and its taxpayers. · Illinois State Police say first concealed carry license could be issued as soon as next week. More than 43,000 statewide applications for concealed carry licenses (CCLs) are in the late stages of the approval process, with local police granted the right to scrutinize the names of applicants who live in their peace-patrol areas. Applicants not blocked by local police are expected to be win approval. The State Police statement was made on Wednesday, February 26. Awards, in March 2014, of the first 2014 concealed carry licenses will mark the climax of a multi-stage ten-month process. This process began in late May 2013 with the General Assembly’s passage of HB 183, the Firearm Concealed Carry Act. This law made Illinois the 50th and final state to institute a legal process to approve Illinois residents’ right to carry a concealed weapon for self-protection in public. The State Police believe that as many as 400,000 Illinoisans will apply for CCLs during the first year of the law. Requirements for applicants include completion of a course of mandatory firearm safety training, taken at the expense of the applicant. Certain partial exemptions from the safety-training requirement apply for persons of standing, such as veterans and certified holders of previous gun safety training. · Continued push for Illinois gambling expansion. 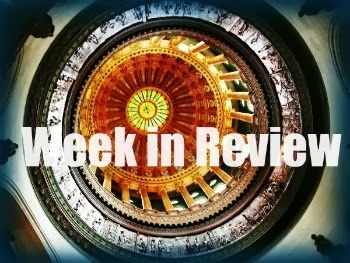 One of the bills being watched is SB 1739, a measure that could be amended for use as a vehicle to enact a comprehensive expansion of Illinois casino gaming throughout Illinois. Draft language has been circulated to authorize licensed casino space at Illinois racetracks, a Chicago-based casino, and up to five additional riverboat casinos in newly licensed locations, as well as additional slot machines at existing riverboats and in Chicago airports. The House Executive Committee will be holding a hearing on gaming expansion at the Tinley Park Convention Center on Monday, March 3 at 6 p.m. The convention center is located in one of Chicago’s southern suburbs, one of the venues for a proposed new riverboat license. Advocates believe that gaming expansions will generate needed new revenues for State and local governments, while opponents are intensifying their concerns about the hidden costs of gambling. · Illinois Student Assistance Commission warns of deadline for MAP grant applications. The Monetary Assistance Program (MAP) grant program provides financial aid assistance to as many as 140,000 eligible Illinois students. Eligible students depend upon MAP grants as partial funding to enable them to meet soaring costs for tuition and other student-related higher education expenses; the average MAP grant is $2,500. 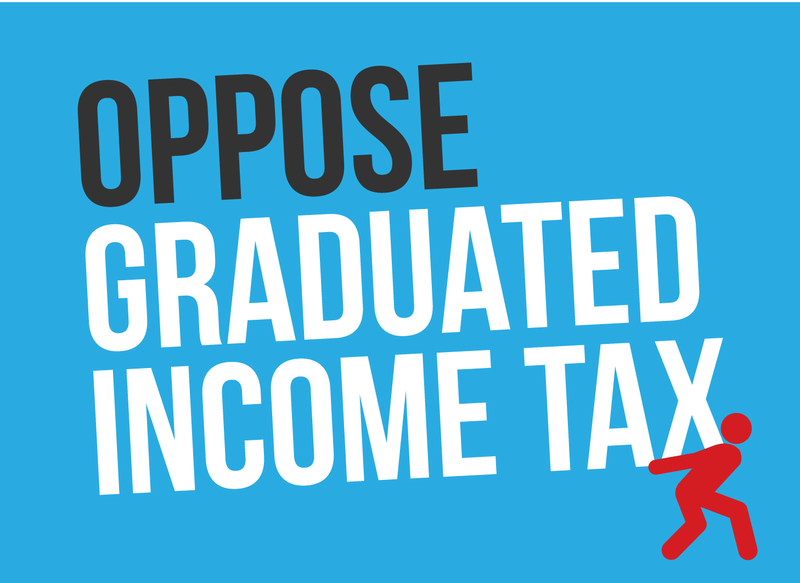 Applications from eligible students in Illinois households are accepted until a deadline that reflects exhaustion of the money appropriated to the program. 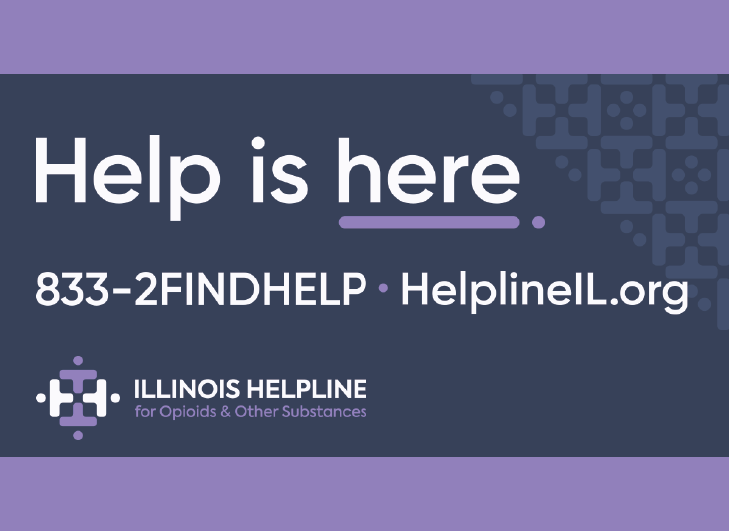 The Illinois Student Assistance Commission (ISAC) announced on Thursday, Feb. 27 that this exhaustion point was close and that applications made on Friday or later would likely be put on a waiting list. Applications for MAP grants are made through the Free Application for Federal Student Aid, which is accessible online. Illinois’ deadline status is listed here. An ISAC spokesperson told the press this week that tardy FAFSA applications, even if ineligible for MAP grants, could still be considered for other facets of student aid, including Pell grants, student loans, and federal work-study programs. · Illinois House discusses bill to ban remaining tobacco, cigarette smoking on public college campuses. The ban will affect Illinois’ nine public universities and their separate campuses, and will also be effective on all of Illinois’ 39 community college districts. SB 2202 does not apply to private institutions of higher education, but an increasing number of campuses throughout Illinois are taking action to ban the smoking of tobacco throughout their campuses. All burning tobacco, including pipes, cigars, and cigarettes, will be affected by the ban. SB 2202 was preliminarily approved by the House Higher Education Committee on Wednesday on a 9-3 vote. The campus-wide bans will supplement the prohibitions already in place statewide under the terms of the Smoke Free Illinois Act. Some public universities and campuses, such as the Urbana campus of the University of Illinois, have already enacted local ordinances that go beyond the terms of SB 2202. Supplemental bans in place on some campuses include prohibitions of e-cigarettes and crackdowns on smoking within privately owned motor vehicles parked on campus. An advocacy group, Americans for Nonsmokers’ Rights, calculated in January 2014 that 1,182 U.S. college and university campuses had adopted campus-wide smoke-free rules, up from 1,178 in November 2013. · Promise of higher Illinois minimum wage could bring job losses in wake. The Illinois minimum wage is currently $8.25/hour for most adult employees not compensated by tips. At the same time, the Illinois unemployment rate is 8.6%, the third highest rate among the 50 U.S. states. The House is scheduled to begin hearings next week on a possible increase in Illinois minimum wage rates. Increasing this benchmark is supported by advocates who call for startup workers and employees who are working on improving their skills to be paid more. The overwhelming consensus among economists and policy analysts, however, is that increases in the minimum wage lead to layoffs and a reduction in the creation of new permanent jobs. On the nationwide level, a study published on Tuesday, Feb. 18, by the nonpartisan Congressional Budget Office (CBO) indicated that increasing the national minimum wage to $10.10/hour (almost identical to Gov. Quinn’s proposed $10.00/hour) will destroy, or lead to the non-creation of, approximately 500,000 jobs nationwide. A similar move confined to Illinois could cost as many as 20,000 jobs statewide. · Rep. John Cavaletto (R-Salem) introduces bill to reduce State sales tax on propane. The market price of the widely-used fuel has spiked across the U.S. Midwestern states during the winter of early 2014, with prices higher than $5/gallon quoted for immediate delivery. For homes that are not supplied with piped natural gas, propane is the go-to essential fuel used to heat homes throughout rural Illinois; it is also widely used by farmers to dry grain and heat buildings used for animal husbandry. Under current law, a 6.25% State sales tax is imposed on propane at the time of delivery. The sales tax is added to the bill, which at $4.00/gallon can be above $2,000 when filling a standard 500-gallon household tank. HB 5900, which is co-sponsored by Rep. David Reis (R-Ste. Marie), would reduce this tax to 1.25%. The remaining tax will not be kept by the State but will be transferred, under existing law, to local governments to help them with their budget needs. · Embattled Quinn agency head resigns. The controversial selection by Gov. Pat Quinn of Arthur Bishop to lead the Department of Children and Family Services (DCFS) was reversed on Wednesday, Feb. 26, when Bishop resigned. The former head of the Department of Juvenile Justice (DJJ) had been promoted to head DCFS, a much larger agency, in January. Bishop’s tenure as head of DCFS ended, however, after the Chicago Sun-Times and other newspapers learned that the departmental director had faced felony theft charges in 1995. Pretrial negotiations ended with Bishop’s guilty plea to a lesser charge classified as a misdemeanor. DCFS is best known as the operator of the State’s child abuse hotline, in which mandated reporters and citizens are expected to call in to report cases of suspected abuse. The Department also oversees the State’s programs that assist foster families and provide group help and individual aid to at-risk families with children, and performs other child welfare-related functions. With more than 2,700 employees, DCFS is one of the largest departments of the State. · Key Illinois toll road to install “smart highway” infrastructure, build more electronic overhead signs. Earlier versions of this signage, with their now-familiar messages describing traffic ahead and estimated times to destinations, have proven popular. The Illinois Toll Highway Authority (ITHA) announced plans on Monday, Feb. 24, to install $17.8 million in smart-highway improvements to the most frequently-traveled stretch of the Jane Addams Memorial Tollway. The affected 16 miles of road will extend from O’Hare Airport to Barrington Road in Hoffman Estates. The required infrastructure will include cameras, sensors, and a series of half-mile overhead signs with displays over each lane. Drivers, warned of trouble ahead, will be able to plan their journey and will be warned to slow down in a timely manner, thus reducing collisions. The infrastructure will be installed as part of the ongoing reconstruction of the Jane Addams. Called “active traffic management” (ATM), various forms of the technology have been installed on busy highways in Minnesota, New Jersey, and Washington State. · Bill to re-legalize the hunting of bobcats advances in Illinois House. HB 4226, sponsored by Rep. Wayne Rosenthal (R-Morrisonville), received the unanimous approval of the House Agriculture Committee on Tuesday, Feb. 25. Bobcats, also called lynxes, are medium-sized carnivores that stake out territories throughout Downstate Illinois, particularly south of Springfield. Hunting Illinois bobcats became illegal in 1972, as uncontrolled use of pesticides and other factors could be seen leading to a downward trend in the animals’ population – a trend mistakenly blamed on hunters. With strict bans and other limits imposed on once-familiar chemicals such as DDT, the population of bobcats has rebounded in many regions of Illinois, opening the door for this re-legalization. Nothing in this bill will take away protections from a larger cat animal, the mountain lion or panther, which is still rare in Illinois.